Inspired by the purity of a dew drop, the garden design for Sarum Close integrates a series of oval shapes which lightly touch and interconnect around an ‘L’ shaped garden. The shapes are emphasised by a series of timber posts set on a curve rising gradually to draw the eye around the garden. An oval pond lies opposite the kitchen, which can be seen from two conservatories. 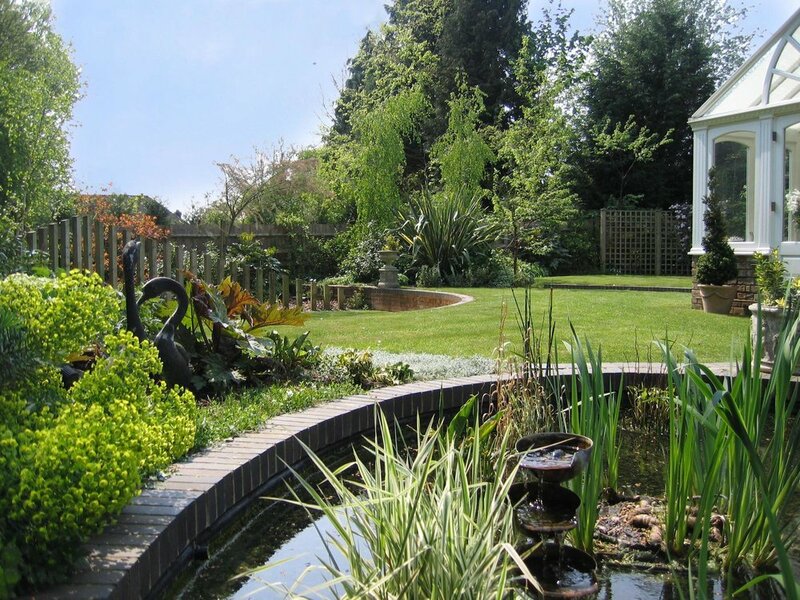 A sunken lawn utilises a natural change in level, which is enclosed by a curved wall. Lighting, with coloured filters, encourages the family to entertain during summer evenings and provides an attractive night scape when viewed from the house during winter months.